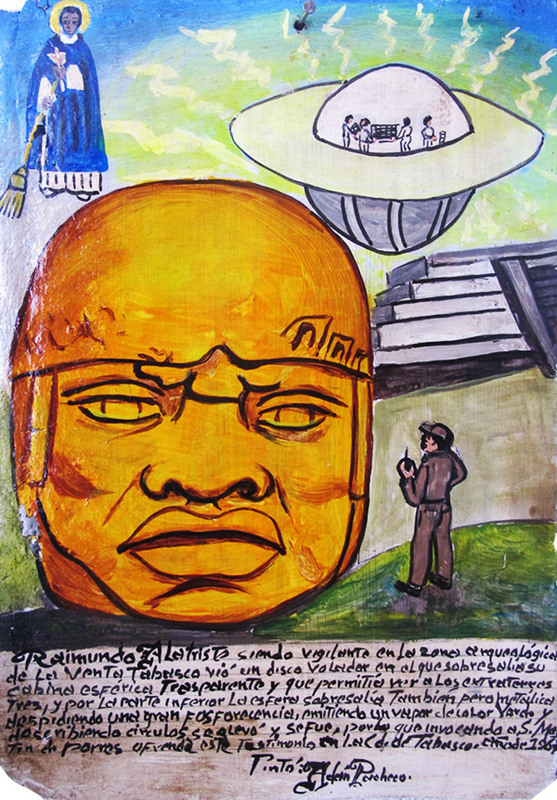 Raymundo Alatriste, a watchman at the archeological zone in La Venta, Tabasco, saw a flying saucer. It had a transparent cabin on the top, so he could see the extraterrestrials inside. It also had a sphere at the bottom, but metallic. The UFO was shining brightly and blowing a green steam. After making few rounds it flew away. 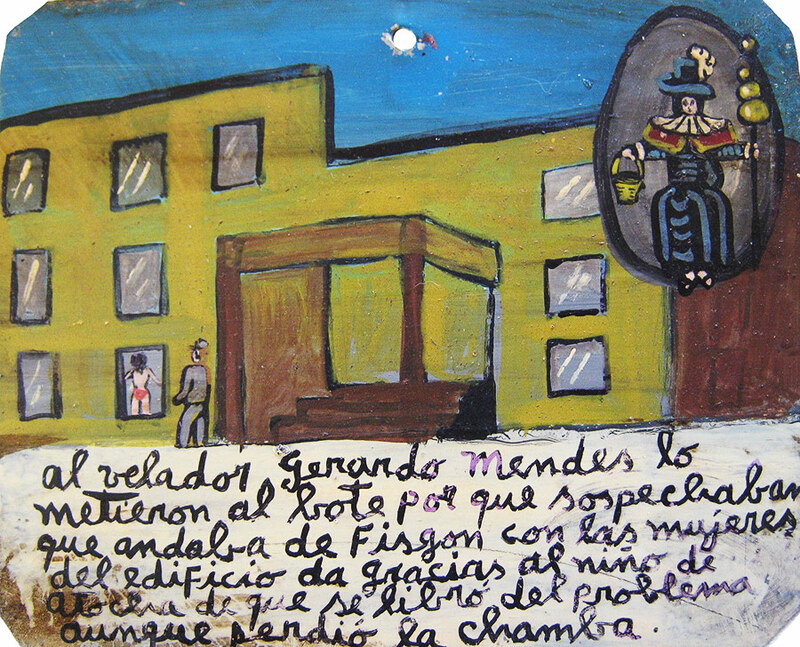 Raymundo entrusted himself to Saint Martin de Porres and offers him this retablo. 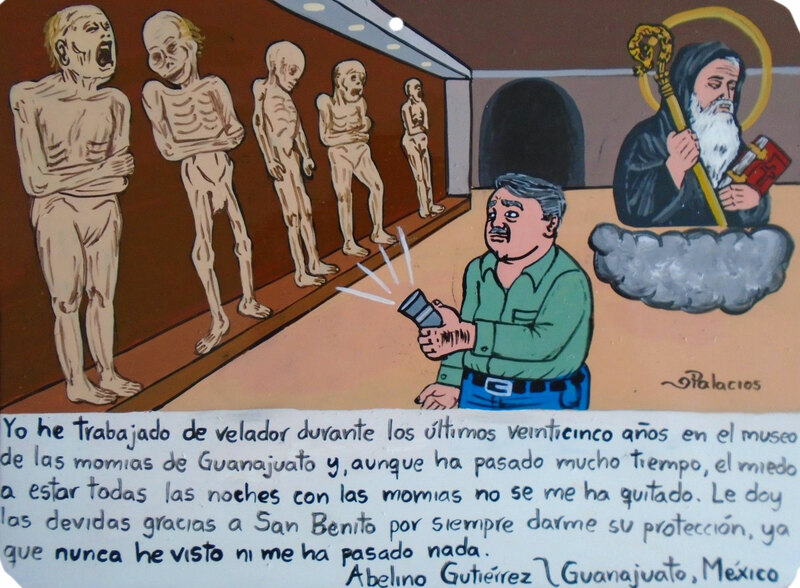 For the last 25 years I’ve been working as a watchman in the Mummies museum in Guanajuato. Although it’s been a long time, I couldn’t get over the fear of staying with mummies at nights. I thank Saint Benedict for giving me his protection since nothing has ever happened to me. The watchman Gerardo Mendes was thrown in jail, because he was spying on the women of the building. He thanks the Holy Child of Atocha, for he managed to handle this problem, although he lost his job.